Last week I received the new biography on the life of Rav Avrohom Yitzchak Kook by Rabbi Yehudah Mirsky, titled, “Rav Kook – Mystic in a Time of Revolution”. It was very exciting for me. I heard my first lecture on the life of Rav kook in February given at the Boca Raton Synagogue by Rabbi Yosef Kassorla. It was a 1.5 hour lecture and it barely scratched the surface of the life of Rav Kook. One of the books used by Rabbi Yosef Kassorla was Rabbi Yehudah Mirsky’s recently published biography on Rav Kook. Last month Rabbi Yehudah Mirsky spoke at a JUF function at Anshe Sholem and I was privileged to hear Rabbi Mirsky directly. I was able to purchase the book and it arrived in the mail last week, signed by Rabbi Mirsky. I have read nothing about Rabbi Kook until now. I did meet Rabbi Avrohom Yitzchak Levine at Shoshana Parker’s wedding in Philadelphia. Rabbi Levine who was Rov in Lower Marion, PA is a grandson Rabbi Aryeh Levine (A Tzaddik in our Time). Rabbi Levine told me that he was the first boy named after the passing of Rabbi Kook in 1935. Rabbi Kassorla’s Shiur portrayed the great life of Rabbi Kook. He told a story about Rabbi Kook that gave me context for another story. Last month, I was at Bnei Ruvain and had a few seconds waiting for the Chazzen to begin the repetition of the Amidah due to my quick pace of praying. I opened up a Sefer titled “Stories of Chassidim”, put out by the Kehot publishing house, to a random page and read the first story. The story was about the Koshnitzer Magid (1733 – 184) and he was in the city of Apta. The Koshnitzer Magid was asked to speak and responded to the request, “I will not speak because I spoke last year and no one was inspired, so why should I speak again?”. Comes along a farmer and says to the Koshitzer Magid, “Last year you spoke about the need for שִׁוִּיתִי יְהֹוָה לְנֶגְדִּי תָמִיד . Since I heard your speech last year I constantly think about Hashem”. The Koshnitzer Magid said, “my speech was successful and I will speak this year”. This is a nice story but normally would mean nothing to me. What does it mean to live with God. I certainly do not. However, thanks to Rabbi Kassrola, I understand what it means to live with שִׁוִּיתִי יְהֹוָה לְנֶגְדִּי תָמִיד. Rabbi Kassorla told the following story about Rabbi Kook. Rabbi Kook arrives in Volzhin in 1884. The Dean of Volzhin, the Netziv, is smitten with Rav Kook and senses something special about Rav Kook. The Netziv said that if the entire purpose of Volzhen was to have Rabbi Kook study here, it would have been well worth it. The other Rosh Yeshiva, Rabbi Chaim Soloveichik said, “beware of the pious lad from Grieva.” Page 16 and 17 of Rabbi Mirsky’s book tells the story. Why was Rabbi Chaim Soloveichik wary of Rav Kook? Rav Kook looked and acted like a Chasid. Rav Kook had a beard and prayed like a Chassid, and wore Tefilim all day. Most students at Volzhin were clean shaven and, to Rabbi Soloveichik, a thoroughgoing Mitnagid and a genius of abstract, elegant textual analysis, “pious” – (fervor in prayer and action) was not a compliment. Volozhin in the 1880’s was an elite Yeshiva with the best Jewish minds congregating to study with its great Torah giants. Many great Jewish leaders came out of Volzhin, including some great secular thinkers. As Rabbi Mirsky said on page 16 in his book, “Haskalah and its literature were in the air at Volzhin, in the dormitories, and at time inside the folio of Talmud over which the students pored day and night. Indeed, a fellow student named Zelig Reuven Bengis noticed that Kook would during his Talmud study, repeatedly look dawn at some paper on a shelf of his study stand. Thinking that Kook was stealing glances at Maskilic literature or newspaper, Bengis reported his fears to Berlin, who told him to leave Kook alone, saying , “he’s a tzaddik.” Unable to restrain himself, the student eventually caught a glimpse of Kook’s mysterious papers, “And what did I find? As Rabbi Kassorla put it, the papers contained the words שִׁוִּיתִי יְהֹוָה לְנֶגְדִּי תָמִיד . Rabbi Kassorla went on and told another story of Rav Kook, which highlights, what it means to live שִׁוִּיתִי יְהֹוָה לְנֶגְדִּי תָמִיד. 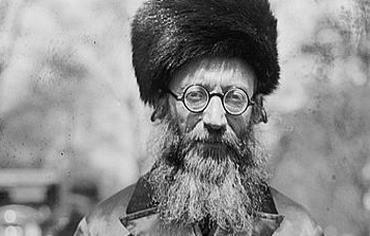 Rav Kook married the daughter of ,(1942/3 – 1905) a Rabbi of Ponevezh, known by the acronym, Aderat. As was the custom of the times, right after marriage Rav Kook moved into his in-laws house to be supported by his in-laws so he can concentrate of Torah study. Lo Haya, V’Lo Nivrah. The Aderat was extremely poverty stricken and there was no way the Aderat would be able to support this son-in-law and his daughter. What does someone who lives a life of שִׁוִּיתִי יְהֹוָה לְנֶגְדִּי תָמִיד do. Rav Kook accepts a Rabbinical post in Zeimel to support both himself and his father-in-law. This was Rav Kook, שִׁוִּיתִי יְהֹוָה לְנֶגְדִּי תָמִיד and this is why he became a great leader in Israel despite his studies being interrupted at age 21 to accept communal responsibility. It is now 7:44 PM and I have just finished for the day. I did go to Sidney for Mincha and Maariv. I gave the Daf Yomi Shiur last week and enjoyed it. To prepare I used the Daf Yomi shiur on ou.org, the most widely listened to Daf Yomi in the world. It is given by Rabbi Moshe Elefant. His 45 minute Shiur turned into a 1.5 hour study session for me. On 2/1/11, just 6 days from now, registration opens for the 2011 Chicago marathon. A ray of sunshine in this bleak winter. Walking the miles and miles of 2010 Chicago Marathon, I was in terrible agony, and told myself that I will never do this again. However, the sights, sounds, and smell of the marathon keeps beckoning to me and I am going all in.